Feb 17 2013: Alfred Raab and Fritz Furrer and observed a male and a female Elegant Euphonia in Altos del Maria. The male was collecting nesting material and building a nest, elevation approx. 1000m. 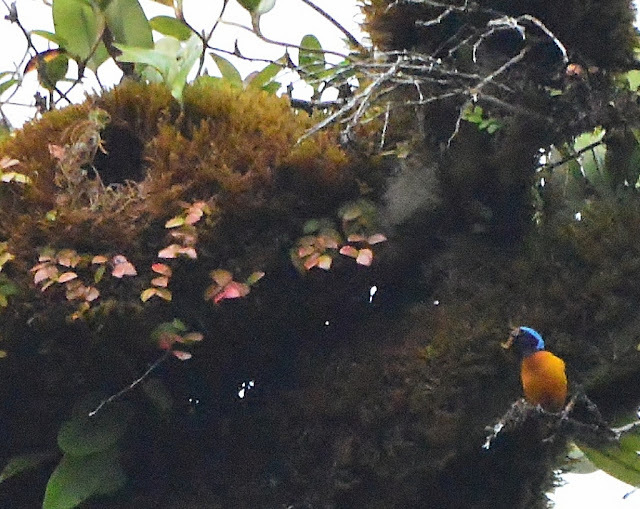 In the picture, the nest opening can be seen in the moss above the branch, top left corner.